Since its first introduction in 1905, Rolex has been a leader in the luxury watch industry. The brand has worldwide recognition for manufacturing high-end watches that are considered to be the ultimate symbol of luxury and class for many watch enthusiasts. While the watches indeed retain their value over the time, you can decide to ‘sell my Rolex watch’ in a hard-up situation for raising instant cash. When you decide to ‘sell my Rolex watch in Romford’, the first and foremost thing you will have to do is assemble all the necessary details about your watch. Factors like the model, age, condition, original box and papers and many others play a significant role in determining the overall value of a Rolex watch. While the age of your Rolex watch may influence its value, the condition will play a vital role in determining the final price that we at Golden Cash are willing to offer for your timepiece. If your Rolex watch is regularly serviced and in good working condition, it will certainly fetch you a higher price. Although you can sell your Rolex watch without its original box and papers to expert watch buyers at Golden Cash, the box and papers that came with your watch when you purchased will illustrate its authenticity and eventually, increase its value. For those who are looking to ‘sell Rolex’, or ‘sell Rolex watches’ in Romford, it is prime-requisite that you choose a leading and trustworthy Rolex buyer to make the process of selling smooth. At Golden Cash, we have a team of watch experts always on hand to carry out a professional valuation right away. With the necessary experience and in-depth knowledge of the second hand luxury watch market, we can provide you with a fair and competitive value for your Rolex. Selling your Rolex watch can a frustrating and virtually difficult process, especially if you have some special memories attached to it. While we, at Golden Cash value our customers’ emotions, we always work to make the process of selling simpler, straightforward and hassle-free. We apprehend the monetary significance of a luxury watch like Rolex and thus, can determine the actual value of your Rolex watch in less than no time. 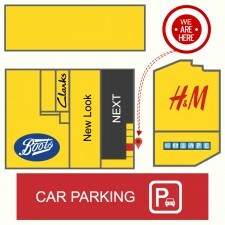 At Golden Cash, we provide our customers with the most convenient way to sell Rolex watches in Romford. Whether you live in Romford or anywhere within the Essex, just walk into our shop at The Liberty Shopping Centre in Romford with the Rolex watch you are interested in selling to Golden Cash. You can call us on 01708 751518 to speak to one of our watch experts, but you do not have to arrange an appointment to visit our shop. Walk into our Romford shop any time during our opening hours with your Rolex watch and one of our expert evaluators will evaluate every aspect of your asset precisely. Experts, at Golden Cash, will take into consideration the condition, age, associated paperwork (if any) and other aspects that may add value and eventually, determine the final credit amount we are willing to lend for your watch. You will receive your final price offer on the spot. If you accept our offer, we will pay you in cash immediately. The process is simple, quick and straightforward. 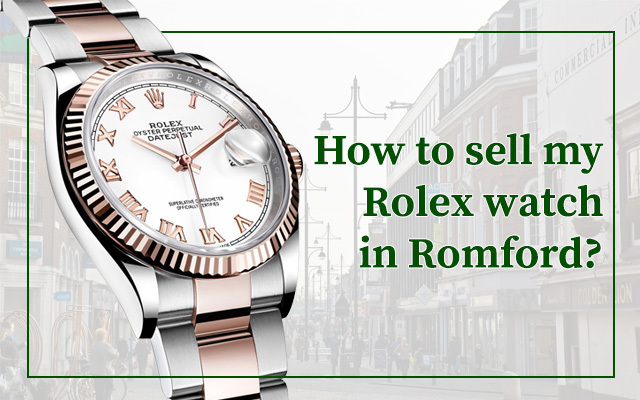 Thus, bring the Rolex watch that you want to sell at our Romford shop today and receive your offer on the spot without any obligation and hassle. Next PostNext How to Sell My Jewellery in Essex?